Does Beijing grasp the portent of embracing Afghanistan and the Taliban? More catch up posting for the South China Morning Post, this time looking again at China’s role in Afghanistan. I now realize a typo in here, specifically in when the attack that killed BLA leader Aslam Baloch took place. It was about a month after the attack on the Chinese consulate in Karachi, rather than the ten days I had put here. Also, the phrase ‘Visiting Beijing earlier last year, the outrageous narrative being advanced around Afghanistan was that America was making things worse and was largely the source of problems within the country’ – was not exactly as I meant to phrase it. The word outrageous was one that I meant to be expunged, but I was late to the editorial process. The 2018-19 period has been noteworthy in one way: it has seen a flurry of activity between China and Afghanistan. During that time, China’s Foreign Minister Wang Yi and his colleague, Ambassador Deng Xijun, have racked up the air miles doing shuttle diplomacy between Kabul, Islamabad and hosting people in Beijing. The result of all this manoeuvring was a successful trilateral meeting in Kabul between the foreign ministers of Afghanistan, Pakistan and China – a parley which appears to have helped accelerate the latest round of peace negotiations in Afghanistan’s seemingly endless conflict. Yet amid the positive mood, it is still not clear what China’s expectations and plans are for Afghanistan. Nor is it clear that Beijing has fully appreciated the central role into which it is increasingly stepping. The first question to ask is: What has spurred this new surge of Chinese diplomacy? The answer is simple, and sits in the White House. Visiting Beijing earlier last year, the outrageous narrative being advanced around Afghanistan was that America was making things worse and was largely the source of problems within the country. This view needs to be considered in context, as it was the moment at which the broader US-China relationship was going down the drain. Everything involving the Americans was bad. But as the days have gone by, this anger has turned into an awareness that the US might actually be on the cusp of making a dramatic withdrawal from Afghanistan. As this realisation took hold in Beijing, the next stage, therefore, was to comprehend that China needed to step up to play a more forward role in resolving the situation. While the US stands detached from the conflict, Beijing remains hostage to geography and is obliged to maintain some engagement with Afghanistan – a commitment whose salience is only increasing through China’s long-term investments in Afghanistan’s neighbours – Pakistan and Central Asia. This state of affairs helps explain Beijing’s new activism, and Ambassador to Pakistan Yao Jing’s willingness to increasingly champion the Taliban as a political group. Talking to Chinese interlocutors about their country’s engagement with the Taliban used to be a taboo subject; now it has apparently become a topic of conversation. Beijing has clearly concluded that the road to resolution in Afghanistan includes bringing the Taliban to the table – something that was likely discussed between Wang and Mohammad Umer Daudzai, secretary general of the Afghan High Peace Council, on his visit to Beijing late last week (a trip that followed Daudzai’s visit to Pakistan to meet Taliban representatives). Beijing is seemingly using its contacts to expedite the peace discussions – a move that even the Taliban’s leaders have championed. What is not clear, however, is what incentives are being offered and whether Beijing has considered the consequences of its latest actions. At this stage, it is likely that Beijing’s immediate security concerns around Afghanistan have been largely mitigated – not resolved, but managed. China has invested in security forces along Tajikistan’s border with Afghanistan; pumped money into similar structures in Gilgit Baltistan; provided training, funding and equipment to Afghan forces; and has hardened its own direct border with Afghanistan. Sitting atop this activity, Beijing has created the Quadrilateral Coordination and Cooperation Mechanism, which brings together the chiefs of defence staff of Afghanistan, Pakistan, China and Tajikistan. There has even been talk this year of the four countries taking part in joint military training exercises together. China’s is concerned about how Afghanistan’s instability might affect that country’s neighbours and Beijing’s larger investments in Pakistan and Central Asia. But even these issues seem to have some answer to them. Just 10 days after the attack on the Chinese consulate in Karachi by a cell linked to the Baluchistan Liberation Army, the group’s leader (and admitted director of numerous attacks on Chinese targets), Aslam Baloch, was killed by a suicide bomber in Kandahar. That ignominious end signalled that China had lethal friends in the region who were keen to show they could reach into the heart of China’s enemies and strike them. It is still not clear what Beijing’s economic stake or interest is in Afghanistan. Some of the routes of China’s “Belt and Road Initiative” – Xi Jinping’s massive infrastructure plan – that cross the Eurasian continent would benefit from transit through Afghanistan. Beijing’s mineral extraction firms view the country’s natural resources with interest. While talks continue about moving forward with belt and road projects, actual activity seems to be quite low. Trade routes are opening slowly, but the spigot of economic investment has not quite opened up. Beijing seems to have concluded that for the time being, the answer to Afghanistan is to try to get a political structure in place that involves everybody and then see how things play out. It will continue to dangle the carrot of economic investment, while knowing that its direct security equities are covered. This strategy will position Beijing fairly securely to let the consequences of a Taliban inclusive government play out. The danger here is what a Taliban inclusive government might mean. First, it is not clear that this arrangement would be acceptable to all other regional players. And even if it were, it is not clear it would help bring stability to Afghanistan. Much of the progress that has been made there might be wiped out, and the country might slip back into even greater chaos and warlordism. Beijing may feel it has this eventuality covered through its current relationships, security structures and economic incentives, but this assumption is risky. Civil conflicts are by their nature brutal and unpredictable, especially in a country so intertwined with its region, and with such a sad and rich history of conflict. Beijing may assume that by brokering a negotiation, it buys itself immunity from these problems. But as the US withdraws from the region, regional powers will increasingly look to China to resolve their issues. It is not clear that Beijing fully appreciates the consequences of this potential responsibility. What Role Might China Play in a Grand Bargain in Afghanistan? More belated posting, this time a short piece for a larger report done by NSI, a company that seems to do reports and papers for the US Government. It looks at the question of Negotiated Settlement in Afghanistan: Elements of a Grand Bargain. The other chapters are done by various prominent Afghanistan experts. Chinese analysts have historically seen Afghanistan as the graveyard of empires. This basis has meant their willingness to engage in grand bargains based on negotiating with actors whom they realize may only have a fleeting grasp on power means that their preferred willingness has been to focus on making sure that they have good, or workable, relationships with as wide a range of actors as possible. At the same time, they have increasingly put in place a growing volume of tools to ensure that their own specific security equities are covered. From Beijing’s perspective, the idea of a grand bargain in Afghanistan is an interesting one, but will only be one they will invest effort into once it is demonstrated that it is going to work, and once everyone else is on board. Beijing’s equities in Afghanistan are relatively narrow. Their principal concern used to be direct security threats from Uighur militants using the country as a base to launch attacks within China. Over time, they have strengthened their relations with the relevant parts of the Afghan security apparatus and hardened their specific border with Afghanistan. Nowadays, the assessment in Beijing is that the Uighur threat is one that is more relevant in a Syrian context than in Afghanistan. Their current preoccupations with Afghanistan are more regional in nature. Of greater concern than what is going on within Afghanistan is what impact Afghan instability might have in Central Asia and Pakistan. Chinese investments in Afghanistan have continued to remain relatively small. There are two prominent large mining projects, while numerous Chinese infrastructure firms have delivered projects on behalf of international financial institutions in the country. Additionally, there is a relatively limited degree of lower level engagement, including gemstone trade, some import and export of white goods and agriculture products, as well as other household products and construction materials. None of this amounts to what Beijing perceives as a major stake. This is reflected in Beijing’s approach towards the country, where it has visibly invested in hardening its own border as well as Afghanistan’s nearby border regions (in Pakistan and Tajikistan), while only providing relatively limited broader support to Afghanistan’s security forces. This context is all important to understand to be able to properly evaluate Beijing’s willingness to be involved or support a grand bargain within the country. Beijing is interested and concerned about what happens in Afghanistan, but it sees this through a narrow regional lens, rather than a grander national security context. This is reflected in the fact it has yet to demonstrate a willingness to take a strong leadership role within the country. This is not to say that Beijing has been entirely delinquent in its action within the country. Aside from the above mentioned efforts, and a growing willingness to seek to bring Afghanistan within the broader context of the Belt and Road Initiative, China has shown a strong appetite to engage with other regional powers in the country. China has sought to get institutions like the SCO and CiCA more involved, it has a greater plurality of regional configurations around the country—China-India, China-Afghanistan-Pakistan, as well as extra-regional partnerships like India, US, UK or Germany— and played a role in others regional efforts, for example Russia, Iran, or the Istanbul Process. Yet none of these are decisive, and there is a sense that Beijing might be seeking to dilute its responsibility through this large range of engagements. In some cases, it is even possible that Beijing sees Afghanistan as a useful security policy case study to engage with a partner it cannot find other formats to positively engage with. This might help explain the highly positive, but ultimately indecisive, Chinese engagements with India and the US in the country. Beijing has deeply contentious and conflictual relationships with both Delhi and Washington, yet is able to use Afghanistan as a context in which it can attempt to develop a collaborative relationship. This is positive (but not decisive) for Afghanistan, and it is not yet clear that this is evidence of a strong commitment by Beijing. Within the context of a grand bargain, the likely envisaged role for China would be to support bringing the harder partners to the table. For example, Beijing’s strong relationship with Pakistan could help ensure Islamabad played a positive role in any deal in the country, and that it ensured its proxies within Afghanistan played along. At the same time, Beijing could use its long-standing links to the Taliban to play a more direct role in this regard. But what is important to note is that these connections and relationships that Beijing has are both long-standing and not as total as is sometimes painted. Beijing struggles to get Pakistan to provide adequate security to its interests within Pakistan, while at the same time being frustrated by some of the Pakistani state’s decisions and planning around CPEC. It is no more likely able to guarantee Islamabad’s acquiescence to control its proxies in Afghanistan than anyone else. At the same time, were Beijing able to exert such influence over the Taliban directly, why has it not used these relationships more forcefully before now? It has maintained a steady relationship to ensure its interests are protected, but as has been seen, Uighur militants have still historically been able to operate from Afghanistan. The key point here is that Beijing is only willing to play a role insomuch as it advances its interests. And Beijing’s interests in Afghanistan at the moment are seen from Beijing as being manageable. They have a security situation that is problematic, but largely contained within Afghanistan, and they have hardened their borders around it. They continue to play a role, and are pushing some investment and economic activity in the country, but they have chosen not to showcase the country as a place in which they are going to take a leadership role. The commitment involved in taking that sort of a position is something that is beyond their interest. This all highlights the role that China would play in any grand bargain. It would support a deal, as long as all the parties involved were agreed and in commitment to deliver it. It would likely be willing to play a role in supporting building this, but it will continue to maintain other relationships while it is doing this—in other words, Beijing is unlikely to cut off any links in favour of one deal over another (it has in past severed relationships with groups, but learned over time that this approach unless bound to a specific and achievable goal, is not sensible in the medium or longer-term). This helps explain Beijing’s willingness to play a role both in efforts in Afghanistan with both the US and Russia or India and Pakistan at the same time. China does not want to choose and to therefore set itself up for potential failure. It is better to continue to engage with everyone. At the same time, this does not mean China is not willing to take a role, but it will avoid choosing sides or taking any leadership role. This reality is likely to persist until there is a blunt and clear western forces withdrawal from the country—something that might change Beijing’s calculus. Until that moment, China would continue to hedge and would play a similar role in any current grand bargain thinking. A piece from late last week as part of a short dossier ahead of the Afghan election done for a new outlet of an excellent Italian think tank called Istituto per gli Studi di Politica Internazionale (ISPI). My contribution focused on China’s role in Afghanistan, a common theme which there should be more work on later in the year. In addition, spoke to Norwegian paper Morgenbladet about Anjem Choudary’s release and the Sun about ISIS in Syria. Afghanistan remains an awkward fit within China’s Belt and Road Initiative concept. Look at most maps of Xi Jinping’s keynote foreign policy concept cutting a route across Eurasia, and they tend to go tidily around Afghanistan. But this masks China’s genuine stake in the country, the gradual shift that is visible in Beijing’s activity and finally, the potential importance of the country to China’s broader push across Eurasia. Starting with national security, China has increasingly sought to harden its security presence in Afghanistan. But this has been focused for the most part on Chinese national interests, rather than providing broader security support to the country. Beijing has provided funding, equipment and training for Afghan forces in Badakhshan, in Gilgit-Baltistan in Pakistan, and helped build border bases for Tajik forces on their side of the border in Badakhshan. At a strategic level, China has fostered the creation of the Quadrilateral Coordination and Cooperation Mechanism(QCCM) which brings together the Chiefs of Army Staff for China, Afghanistan, Tajikistan and Pakistan. The focus of the grouping the border region around the Wakhan Corridor which all three of them share. The key to understand this is that China is not seeking to displace the United States or NATO as a key security provider for Afghanistan’s armed forces. The country is focusing on bolstering its links and the capability of the various armed forces that touch upon its border with Afghanistan. This posture focused on Chinese national security concerns can be seen in China’s previous security engagements with Afghanistan which have for the most part focused on building relations with local groups to ensure that China’s security equities – either its nationals and investments or its concerns about Uighur militants using the territory to plan attacks in China – are covered. Having said this, there is an equally noticeable gradual increase in China’s activity in Afghanistan. From largely seeing the country as a graveyard of Empires from which it prefers to keep a discrete distance, China has increasingly stepped forwards to play a role in the country. Chinese firms have won some large extractive projects – in the north CNPC won an oil concession in Amu Darya, while MCC and Jiangxi Copper famously won the Mes Aynak Copper mine in Logar. Construction firms like Xinjiang Beixin, CBRC and Gezhouba have all worked on major infrastructure projects in the country. And at the smaller end of the scale, Chinese traders have sought to exploit the gemstones in Afghanistan, while Afghan shuttle traders are a feature of the thriving community of developing world merchants in Yiwu. And Beijing has actively sought tomend the previous omission of Afghanistan from the broader Belt and Road, hosting conferences in Kabul and Beijing on the topic. At the same time, China has used a multiplicity of regional groupings to bring different regional configurations together on Afghanistan. Large multilaterals like the Shanghai Cooperation Organization, the Conference on Interaction and Confidence-Building Measures in Asia (CICA), and the Heart of Asia (or Istanbul) Process have all seen Chinese leadership try to push different parts of them towards playing a role in Afghanistan. At a mini-lateral level, Beijing has brought together the Afghan and Pakistani Foreign Ministers, and engaged, separately, with the US, India, UK and Germany on Afghanistan. All of this is a step change from earlier years when Beijing largely kept on the sidelines of any discussion around Afghanistan. To some degree this was part of a general reticence by Beijing to become too involved in any major international entanglements, but it was also a product of China’s habit of abrogating its Afghanistan policy to Islamabad. While Beijing continues to be responsive to Pakistan’s concerns in Afghanistan, it has increasingly struck out its own path. The key turning point can likely be seen in 2014 when Beijing realized that American-led NATO efforts in Afghanistan had a shelf life and were not likely to result in a tidy resolution in Kabul. And while Islamabad could provide some support to advance Beijing’s goals, it did not have total control. The United States instead, was not a continental power. It could eventually up and leave – as a physical neighbour, Beijing was a hostage of geography. At the same time, the main running narrative from Beijing was one of Belt and Road. There was a gradual build up to this through Xi Jinping’s early years – with a major foreign policy work conference on peripheral diplomacy, a refocusing on Xinjiang and China’s border regions, some major foreign travel to South Asia by leadership figures (including in May 2013 the signing of the MoU that laid the foundation for the China Pakistan Economic Corridor), and finally in September and October 2013 the respective announcements of the Silk Road Economic Belt (in Astana, Kazakhstan) and the 21stCentury Maritime Silk Road (in Jakarta, Indonesia). In 2014, China decided to create a position of Special Envoy for Afghan Affairs, appointing seasoned diplomat and Afghanistan watcher Sun Yuxi to the role. Yet while the appointment was a clear signal of focus by Beijing, it was made in a manner which seemed to suggest it was adjacent to the broader Belt and Road Initiative. At the time, the concept was still working itself out, so in some ways this was not surprising, but the net result was to create a sense of BRI not necessarily being something which encompassed Afghanistan. The appointment of Ambassador Sun, however, did demonstrate a level of seriousness by Beijing in terms of trying to understand how to engage with Afghanistan at a more sophisticated level than just engaging with Kabul. The difficulty with a country like Afghanistan for a power like China which is still developing its civil service cadre, is to find individuals who are able to understand countries from the inside and figure out which levers deliver results. In a tribal country like Afghanistan, this problem is multiplied, with local power brokers as significant to guarantee success of projects as the central government. As an Ambassador who had served in the country for some time, Ambassador Sun had a good understanding of these dynamics and good relations across the board on the ground. He was also instrumental in getting Beijing’s efforts are helping try to broker negotiations between the Taliban, Islamabad and Kabul together – playing an important role in the creation of the Quadrilateral Coordination Group (QCG) bringing together China, USA, Afghanistan and Pakistan. This was not unfortunately always the case with Chinese investments in the country. When CNPC embarked on its project in the Amu Darya region, they did it with a company which was not linked to the local power brokers, causing issues when their engineers deployed into the region to deliver the actual project. Over time, Beijing has learned these lessons, and is increasingly seeking opportunities to engage with Afghanistan in new formats and play a slightly more forward role. It has ensured that it has developed a range of relationships within the country amongst all the different factions, but at the same time ensured that it has prioritized strengthening its specific border with Afghanistan to make sure China is protected from overspill of security problems. Currently the focus is largely on bolstering capacity in neighbouring weaker countries (in Central Asia, or parts of Pakistan), while also continuing to show a willingness to talk about playing a positive role in Afghanistan. Beijing’s broader caution, however, remains and the country continues to refuse to take a clear leadership role with Kabul. A posture which is likely to continue until China sees with greater clarity what exact role the United States sees for itself in the longer run. A further piece for the South China Morning Post about what more China could do in Afghanistan. More on this topic over the year as well I think. The year has ended with a number of banner headlines about China’s engagement in Afghanistan. 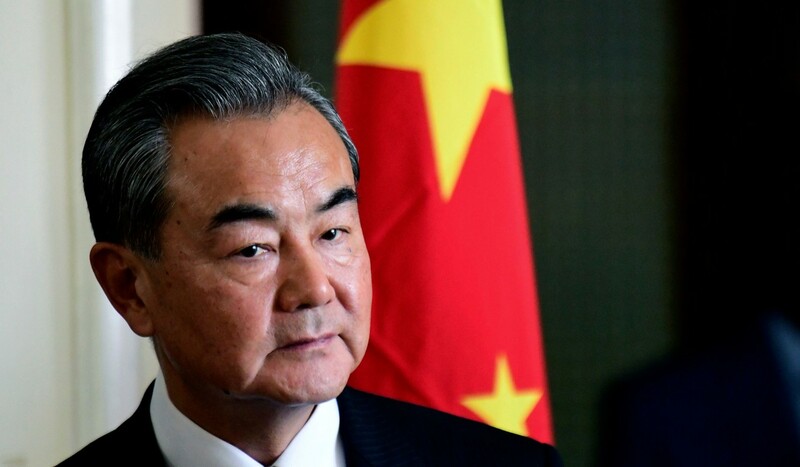 Hosting his Afghan and Pakistani counterparts, Foreign Minister Wang Yi announced China wanted to include Afghanistan in the China-Pakistan Economic Corridor. At around the same time, one of the messages to emerge from the Afghan defence minister’s visit to Beijing suggested that China was going to invest in a security force in Badakhshan province. In fact, neither of these announcements is new and while it is good that China is increasing the positive public announcements around its engagement with Kabul, 2018 needs to be the year that China follows through on its rhetoric and takes a greater leadership role in Afghanistan. The key change in China’s engagement in Afghanistan can be traced back to 2013 when Beijing started to perceive that Washington’s talk of withdrawal was genuine. While the withdrawal was not as complete as was suggested at the time, it showed Beijing that Washington’s commitment to Afghanistan had limits. It also reminded Beijing the glaringly obvious fact that chaos in Afghanistan was something which would have direct ramifications on China. Unlike the US, on another continent, China shares a direct border with Afghanistan. This started to shape a shift in policy from Beijing. A clearer effort towards engagement was undertaken, even going so far as to undertake joint projects with the United States. China’s political engagement and activity increased and a senior diplomat, Sun Yuxi, was appointed to act as a point of focus for China’s efforts in the country. And around Afghanistan, growing investment flowed into neighbouring Pakistan and Central Asia as part of Xi Jinping’s keynote foreign policy vision of the Belt and Road international trade and infrastructure initiative. The elevation of these investments under the umbrella of the Belt and Road gave them much greater significance and highlighted the importance of a stable Afghanistan to deliver success in the long-term. Yet what is surprising in the five years that have followed is the relatively limited volume of activity that has actually taken place or delivered change. China has certainly upped its game in Afghanistan, but it has not yet taken on the game-changing role it could play. Its investments have remained relatively limited and in the case of the largest investment in the country, the copper mine at Mes Aynak, has not moved forwards. While aid has increased, Afghanistan is a country that needs a sustainable long-term economy, not just aid handouts. Big projects have failed to move forwards and deliver the tax revenues that the country hoped for and Beijing has yet to play a significant role in security terms. On peace talks, China has played a role as honest broker between Afghanistan and Pakistan, but this has so far not brought the necessary actors to the table to foster peace in the country. Going forwards, China should focus its efforts on a two-pronged effort which focuses on delivering meaningful economic investment into the country and consolidating and leading peace efforts. On economic investment, Beijing needs to make sure greater investment with local benefits materialises in the country. So far, aid projects have been delivered, alongside some infrastructure investment. Both of these are hugely positive and necessary, but are not providing the sort of transformative economic investment that Afghanistan needs. Opening up direct train routes and markets is important, but China needs to make it easier for business people in both countries to move back and forth, and for goods to go between the countries. Furthermore, Beijing should incentivise small and medium sized enterprises to develop, something that could be addressed through getting China’s policy banks to extend low interest loans to firms working on or in Afghanistan. At a larger level, creating a joint investment fund with other international partners to support the construction of infrastructure in Afghanistan would help both encourage Chinese firms to move forwards in this direction, but also help build the necessary physical wiring which will reconnect Afghanistan to its neighbourhood and realise the country’s place in the Belt and Road initiative. At a more strategic level, Afghanistan needs to develop a bigger tax revenue base. Its natural resource sector is an obvious source that has so far not been tapped as much as it could be, in part as Chinese firms have not lived up to their initial commitments. The government should step in to fix this with companies that have already signed contracts to deliver on them, as well as support others that are exploring opportunities. Copper prices finally appear to be back on an upward trajectory, suggesting that the Mes Aynak project may become more economically interesting again. The key complaints that companies often find in seeking to invest in Afghanistan are security and corruption. In both contexts, the Chinese government can play a greater role in supporting firms. China already provides some support to Afghan security forces, but greater central budgetary support would help justify a greater Afghan security role for Chinese projects and investments. On corruption, if Beijing was to work with others (like the West, India and Iran) to ensure the rules of the road in Afghanistan were firmly marked out for their firms that are investing in the country, it could help transform the business environment. Finally, Beijing should use its growing regional clout to try to bring some order and coherence to the many different regional institutions that have been developed around Afghanistan’s future. The Shanghai Cooperation Organisation, the Conference on Interaction and Confidence-Building Measures in Asia, the Istanbul or Heart of Asia Process, the South Asian Association for Regional Cooperation and more have all held varying levels of engagements in Afghanistan. And China itself has created or taken part in a growing constellation of bilateral, trilateral, regional and more forums which focus on Afghanistan. Kabul needs the attention and support, but a growing problem is a lack of coherence and confusion about which format is actually delivering effective change. It is also stretching Afghanistan’s diplomatic managerial capacity. Were China to try to drive some coherent direction to this range of regional institutions then it might be possible to more effectively marshal the international community. While it will be impossible to ever create a single entity that captures everybody and everything connected with Afghanistan, narrowing down the numbers and focusing efforts would undoubtedly help. A short commentary piece for Reuters on what China is doing in Afghanistan. Been doing a lot of work on related topics which will eventually land. Also spoke to the Guardian about the deaths of a pair of British medical students who were killed alongside ISIS in Iraq, to AFP about a new ISIS video featuring a group of Uighurs in Iraq, to Sky News about a British ISIS suicide bomber in Iraq, and finally an interview on the radio for TalkRadio about his death. 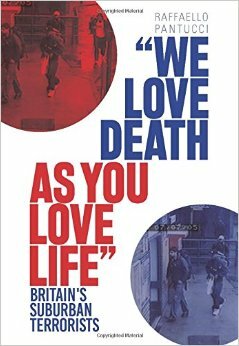 Raffaello Pantucci is Director, International Security Studies at the Royal United Services Institute in London. He is currently working on a number of projects looking at Chinese influence and interests in South and Central Asia. A brief post in the wake of Islam Karimov’s death in Beijing for the site I post everything China-Central Asia related. As ever, this is something I have a few bigger things in the pipeline about. Somewhat related, spoke to the Associated Press about the attack on the Chinese Embassy in Bishkek, the Wall Street Journal about Anjem’s jailing, the Telegraph about the numbers of children being referred to Channel and Times about a new ISIS magazine. Islam Karimov’s death is the realisation of a regional concern that many have long worried about: succession amongst leaders of the Central Asian states. The question of who comes next has been a persistent concern, particularly in Kazakhstan and Uzbekistan. Beijing is not immune to these worrries. 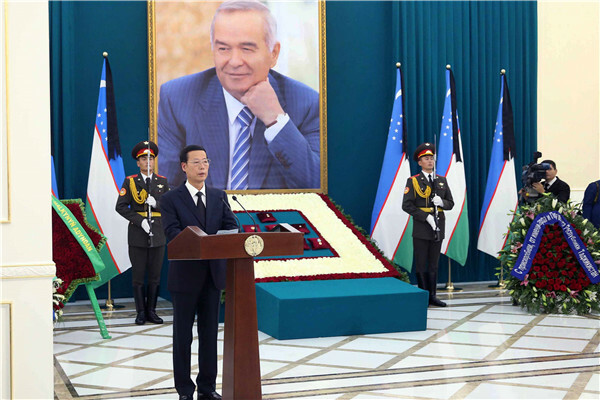 On every visit to Beijing in which Central Asia has been a focus of discussions, there have been inevitable conversations with Chinese Central Asia analysts who have been particularly perplexed about what might happen in a post-Karimov Uzbekistan. Yet, now that this scenario has arrived, China seems unperturbed and experts spoken to seem equally unconcerned. Seen from Beijing, Uzbekistan post-Karimov is a case of business as usual. The biggest indicator of China’s reaction to Islam Karimov’s death is how the leadership responded to the news of his demise. It came at an awkward time for China, with Beijing policymakers and planners consumed with the preparations and meetings around the G20 Summit in Hangzhou. Consequently, the best that Xi Jinping could muster was a formal note through the MFA to acting President Nigmatilla Yuldoshev praising Karimov as ‘true friend’ to China. He later dispatched Vice Premier Zhang Gaoli to the funeral as his special envoy, while Prime Minister Li Keqiang paid his respects at the Uzbek Embassy in Beijing. This set of moves could be read as dismissive, especially given the importance of respect in the Asian context. Zhang Gaoli is ultimately the seventh ranked member of seven within the Politburo Standing Committee. Therefore, in some ways, he was the most junior senior person Beijing could send. In contrast Tajik leader Rahmon, Afghan leader Ghani and Russian Prime Minister Dmitri Medvedev attended. If Beijing was to punch at this weight, then presumably Prime Minister Li Keqiang should have attended. But at the same time, there are no other state funerals that China has reacted to in this way. The most recent possible comparison that comes to mind was the passing of Lee Kuan Yew of Singapore, a leader who commanded such respect in life that he was able to muster meetings of the Politburo outside Beijing when he visited China. Yet when he passed away, Beijing sent Li Yuanchao. Like Zhang, Li Yuanchao was a Vice Premier, but only a member of the Politburo – a second tier of senior leadership made up of 25 of the most senior members of the Party. While important, Li is definitely junior to Zhang, a Standing Committee Politburo member – ie, one of Beijing’s most inner circle of seven who rule the country. Li, it is worth mentioning, appears to also have been Beijing’s representative at Nelson Mandela’s funeral, suggesting that he may be the unofficial Chinese representative to international state funerals. Admittedly, this is a lot of ‘Pekinology’ tea-leaf reading. However, it does seem that Beijing’s leadership made some effort to show their respect to Uzbekistan in the wake of President Karimov’s passing, notwithstanding the fact that they were otherwise preoccupied with the world’s heads of state descending on Hangzhou for the G20 meeting. Interested to hear more about the broader context of Uzbek-China relations, I reached out to contacts in China working in the think tank and corporate sector about what they thought of Karimov’s passing. Professor Zhao Huasheng of Fudan University in Shanghai, one of the eminent dons of Central Asia research in China told me ‘I think it [Karimov’s passing] will have no significant impact on China-Uzbekistan relations, because there are no serious problems in bilateral relations. And there is no reason for the new leader not to maintain good relations with China. A peaceful and smooth transition of power is critical for stability in the country and for security in the region.’ The biggest prerequisite and issue on the table for Professor Zhao was that the country had a ‘peaceful and smooth transition of power.’ This view was confirmed by a couple of other Chinese experts spoken to, all of whom pointed to the fact that China’s pre-eminent concern was that Uzbekistan stayed on a stable trajectory. This in fact may have been the concern that had been expressed previously – with people worried that Karimov was the lid on a cauldron that might boil over without him, rather than the leader himself being the key lynchpin in the relationship. There are in fact no indicators at the moment to suggest that the transition of power should be anything other than smooth, or that there will be an upending of Beijing and Tashkent’s warming relationship. While there has been some speculation that the likely successor (and now interim leader), PM Shavkat Mirziyoyev, may have an openness to a more productive and close relationship with Moscow than his predecessor, it is not clear this will come to China’s detriment. Mr Miriziyoyev has already established a relationship of sorts with President Xi as the individual who personally escorted President Xi Jinping to the airport when he visited Tashkent in June 2016, a visit during which President Xi was the first ever foreign leader to give a speech in the Oliy Majlis and the two leaders (President’s Xi and Karimov) together opened a railway line that China had helped build in the country. Suffice to say all the indicators in China-Uzbek relations are positive (notwithstanding underlying concerns that are fairly common across the region towards the potentially overbearing nature of large Chinese investments), and it would be surprising if the new leader broke away from, or reversed, this relationship. Uzbekistan continues to want foreign investment, and China has proven a fairly reliable actor in this regard. While Moscow appears to be quite actively courting Tashkent in the wake of President Karimov’s death, Beijing is the one with the relationship on a steady upward trajectory. For Beijing, the priority remains that Uzbekistan stays stable and finds ways of incorporating and building into the ‘Belt and Road’ vision. Seen from Tashkent, there is no clear reason why this wouldn’t be a possibility.